Angelina Jolie and Brad Pitt are going to court amid their ongoing divorce proceedings. According to an E! News report, published on Tuesday, Nov. 6, 2018, the estranged exes will be taking their custody battle to trial next month. However, as a source cited by the media outlet claimed, "They're still working together towards an out of court settlement. Angelina is not seeking sole custody of the kids, she still supports the reconciliation of the children with their father." Meanwhile, court documents obtained by the publication revealed that the former couple's custody trial, which will reportedly begin on Tuesday, Dec. 4, will be overseen by retired Judge John W. Odenkirk through the end of next June. 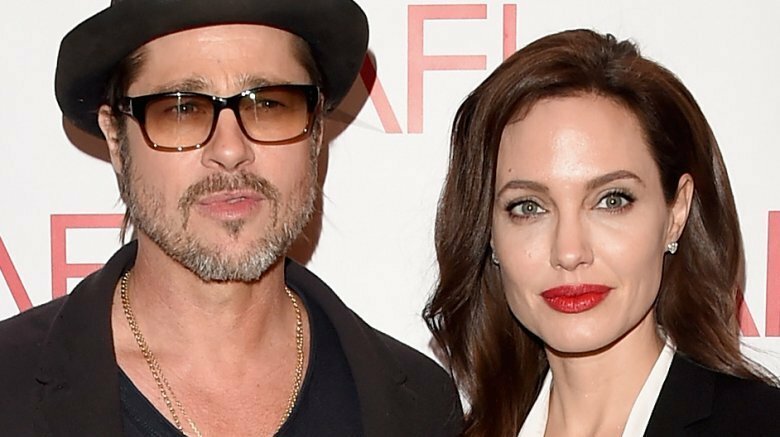 As Nicki Swift previously reported, Jolie, 43, officially filed for divorce from Pitt, 54, in September 2016, citing "irreconcilable differences." The Mr. & Mrs. Smith co-stars, who married in a secret ceremony in August 2014 after a decade of dating, share six children together: Maddox, 17, Pax, 14, Zahara, 13, Shiloh, 12, and twins Vivienne and Knox, 10. The famous exes have been engaged in a highly publicized custody battle ever since calling it quits — but things unfortunately took a nasty turn over the summer of 2018. After reaching a temporary custody agreement, a judge ordered Jolie to allow Pitt more visitation time with their kids in mid-August. Meanwhile, the actor was reportedly "sickened" by Jolie and her legal team's decision to bring their private custody battle into the public eye after the actress-activist accused him of not paying "meaningful" child support in a court filing. Shortly after, Pitt claimed that he's paid her over $9 million since breaking up, and the Maleficent star later split from her divorce lawyer. Having passed the two-year mark of their separation in late September 2018, here's hoping Jolie and Pitt can come to a permanent custody arrangement quickly and amicably. In other celeb breakup news, Marvel star Chris Pratt and Mom star Anna Faris recently finalized their divorce in mid-October 2018. The amicable exes, who announced their separation after eight years of marriage in August 2017, will share joint custody of their only child, 6-year-old son Jack. Meanwhile, Camping actress Jennifer Garner and Batman star Ben Affleck, who share three children, also finalized their divorce around the same time after separating in June 2015.